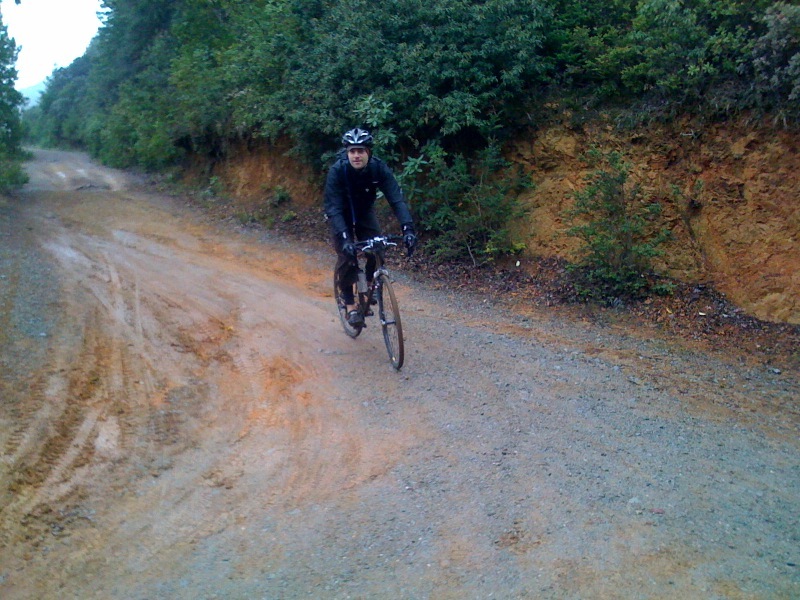 Yesterday a group of friends and I went cx-ing in Marin county. Met near golden gate park and crossed the bridge taking as many random muddy detours as we could through the presidio. We then stopped in down town Mill Valley picking up a baguette and a package of salami. From there we headed through back streets till we hit Old Railroad Grade (9 miles of 5% grade) where we were treated to amazing views of the area at the top. We then descended down eldridge grade (super rocky! Ooof!) and stopped half way for our snack, and then descended the remaining way down to Phoenix lake. The weather was great, cold, and drizzly as we got to the higher altitudes, dry and the lower bits. The trails were lush and alive, but not too muddy, phoenix lake looked like glass. We then made our way back to San Francisco via ross, kentfield, larkspur, camino alto, mill valley, sausalito where we stopped in the lower haight to absolutely demolish some hamburgers. Great day. i know a few people who take their rando bikes up there, i cant wait to give that a shot on my sport tourer when its finish. north bay camping trips here i come!